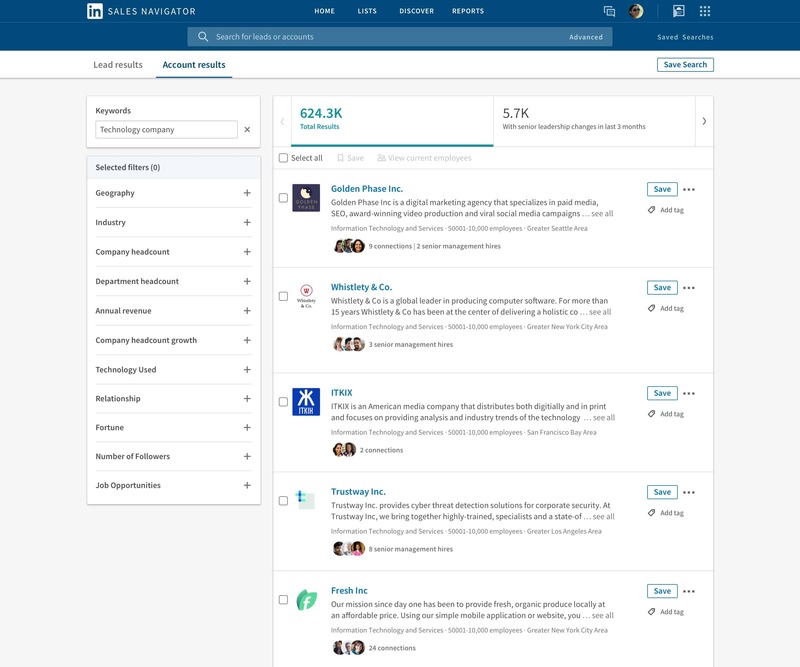 LinkedIn Wednesday announced a host of updates to its Sales Navigator platform, highlighted by Deals and Buyer’s Circle, which are aimed at providing a better understanding of the sales pipeline. LinkedIn Sales Solutions vice president of products Doug Camplejohn shared a comprehensive look at all of the changes to Sales Navigator in a blog post. Deals is aimed at providing managers and sales representatives with a more effective way to understand and manage their sales pipelines, as well as add deal and contact information to their customer-relationship-management systems. 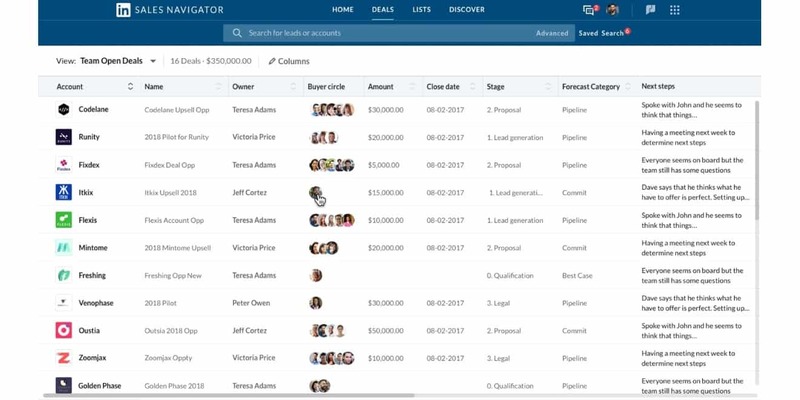 It works by pulling pipeline data from companies’ CRM systems and displaying it in a simple web interface, enabling users to edit information for their entire sales pipeline on a single page—including deal size, stage, close date and next steps—without having to toggle back and forth between Sales Navigator and their CRM system. All changes are automatically written back to their CRM systems. 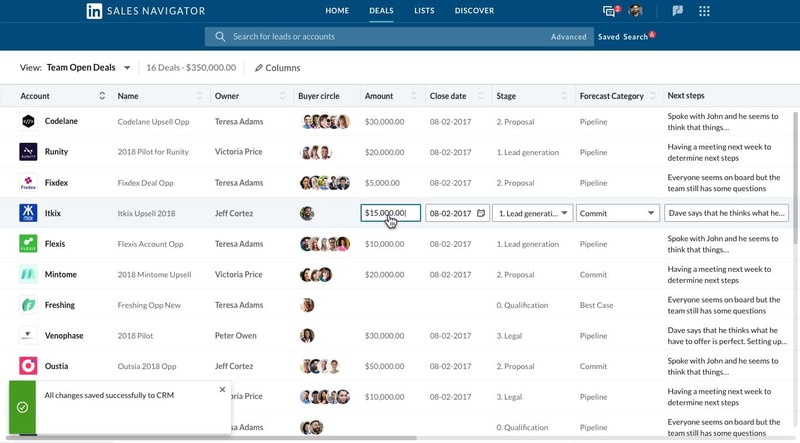 Citing data from Gartner that an average of approximately 6.8 people are involved in the business-to-business buying process, the Buyer’s Circle feature in Deals retrieves and displays role information—such as decision maker, influencer and evaluator—from users CRM systems, in order to ensure that no key players aren’t factored in. 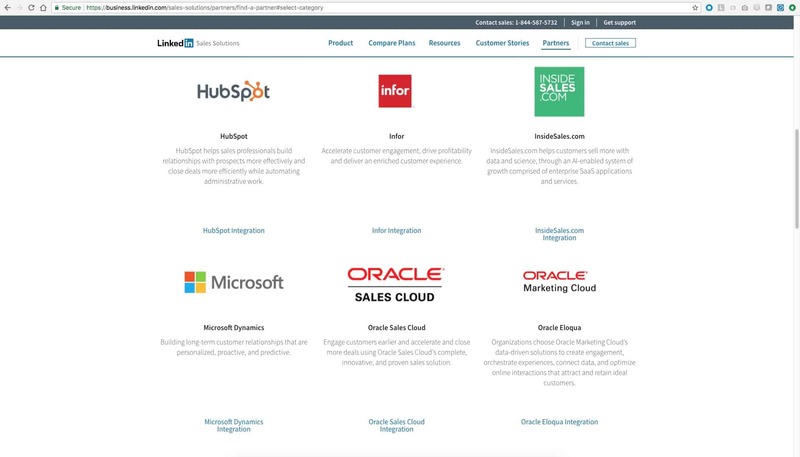 Buyer’s Circle also enables Sales Navigator users to select anyone on the LinkedIn network and drag them into roles, with those changes also automatically reflected in their CRM systems. 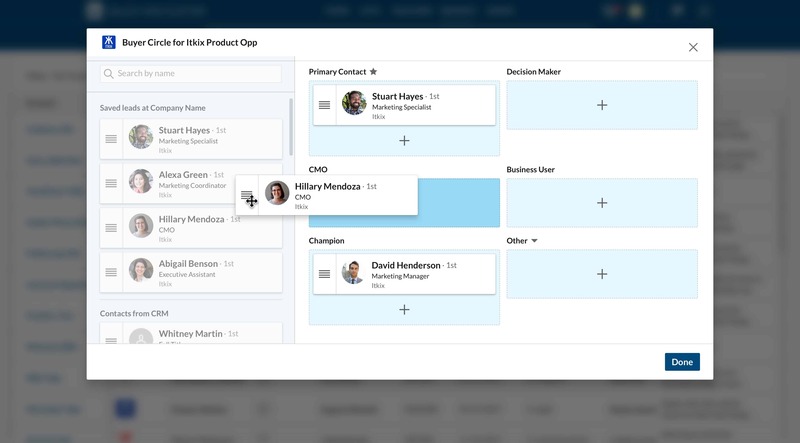 New CRM contacts can be created for people who aren’t already in the company’s system. 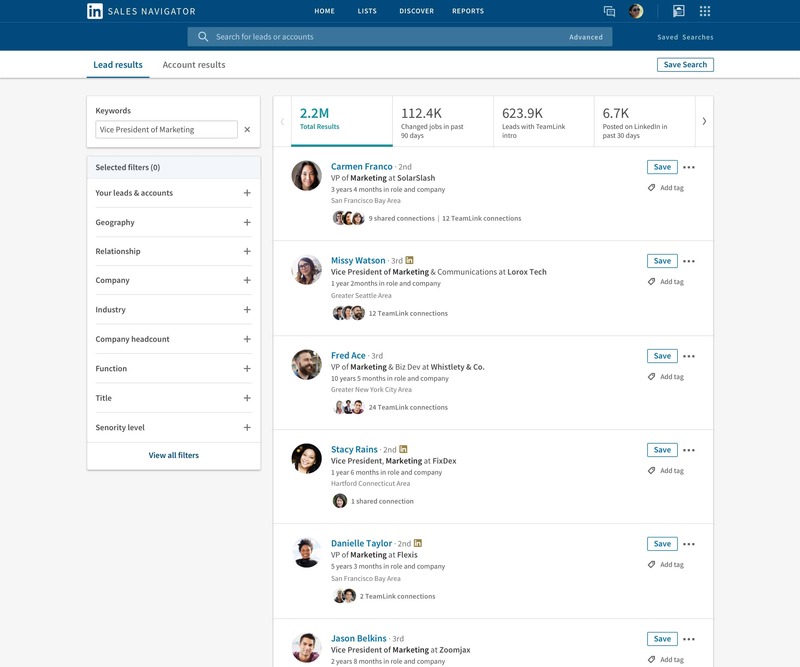 LinkedIn also announced an integration with parent company Microsoft: Once users authenticate their Office 365 and Sales Navigator accounts, they can mouse over email addresses to access features such as viewing profile information, saving leads, sending LinkedIn connection requests, viewing TeamLink connections and viewing “icebreakers,” or common traits, to help personalize messages. Mobile lead pages were revamped, as well, bringing more facets of the Sales Navigator desktop experience to its mobile application. 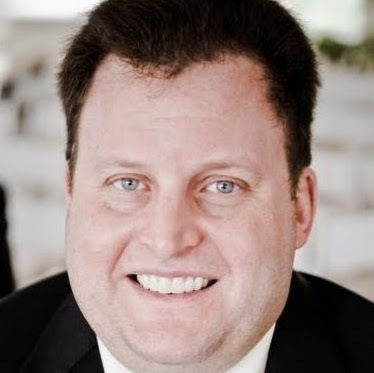 Adobe Sign is now a Sales Navigator Application Platform partner, and three existing partners—Salesforce, Microsoft Dynamics and SalesLoft—are tightening up their integrations with SNAP. 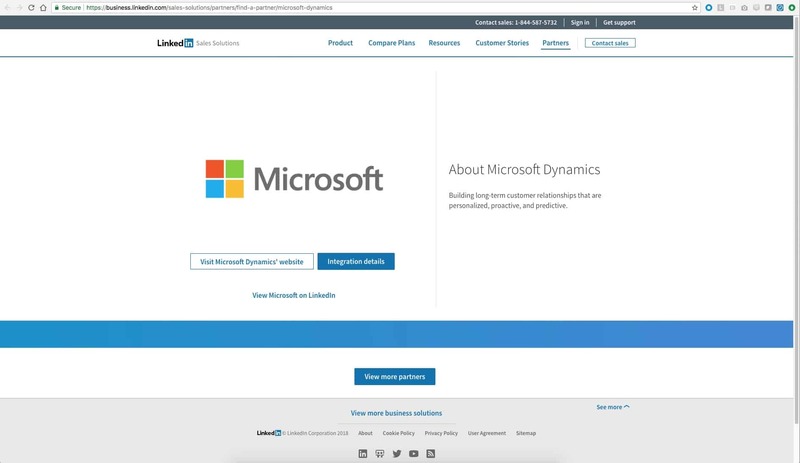 The integrations with Salesforce and Microsoft Dynamics now enable users to embed information from Sales Navigator more deeply throughout lead, contact, account and opportunity pages and to send InMail directly through CRM pages. 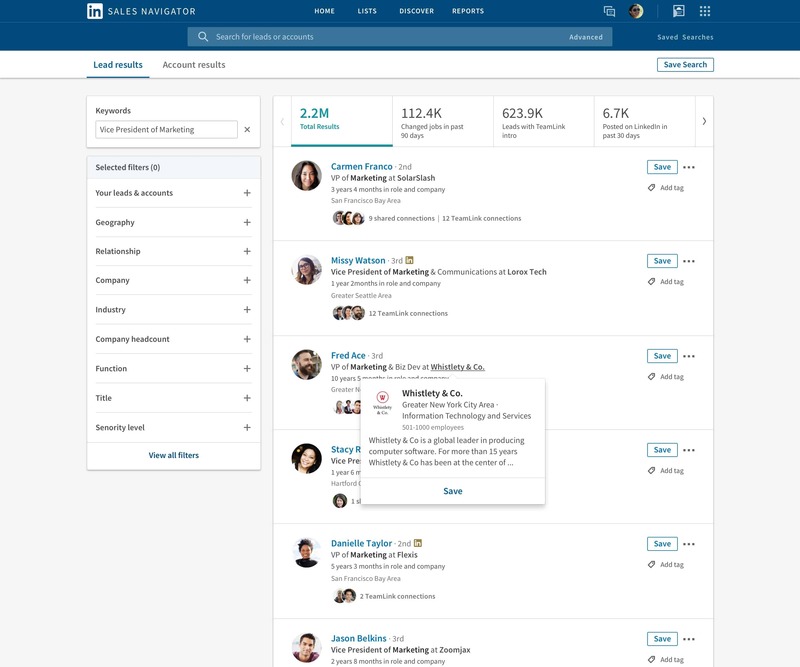 And the SalesLoft integration brings LinkedIn actions such as research, connect and InMail/message into SalesLoft cadences alongside email and dial actions. Sales Navigator Ideas is powered by Aha and located in the Sales Navigator Community Portal, and it enables users to submit, vote on, comment on and track the status of ideas for how to improve the platform.